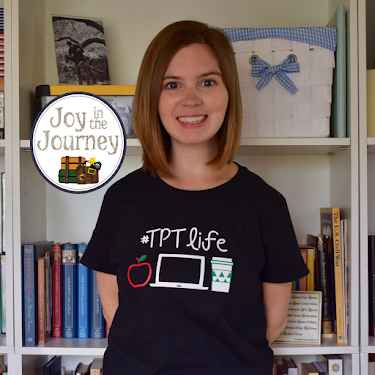 Calling all busy Christian school teachers, Sunday school teachers, or homeschooling parents! 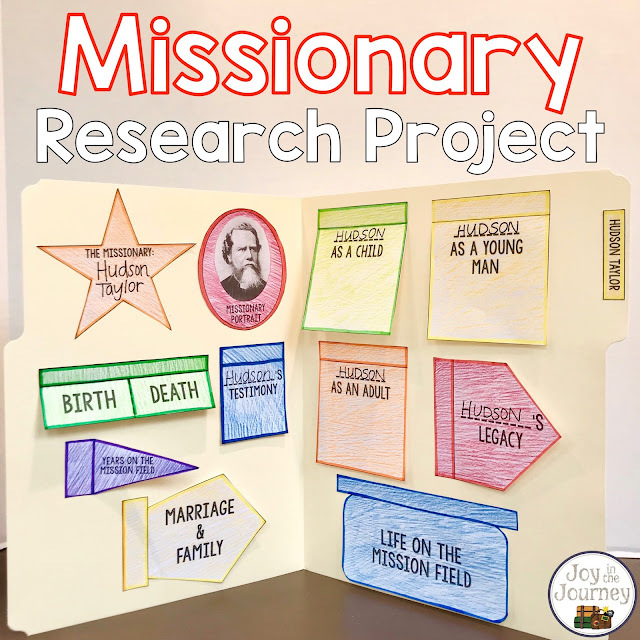 Looking for something to depend your students' research skills and enhance their understanding of Christian missionaries around the world? If so, I've got the just-right project for you! 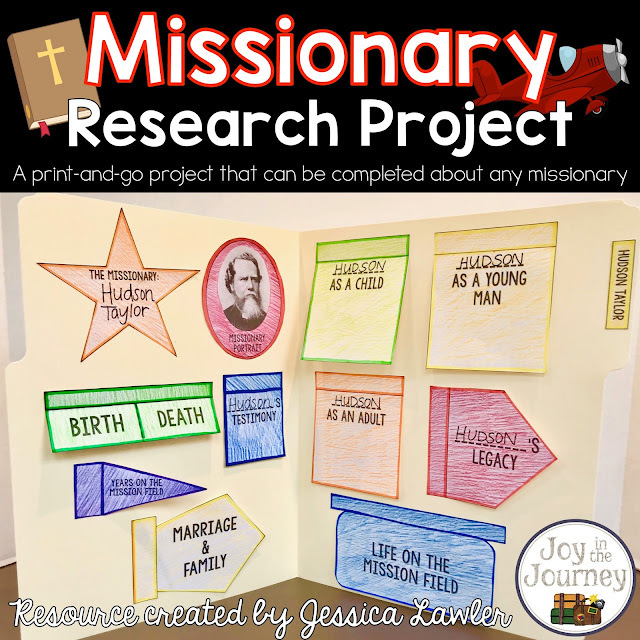 Engage your students with this print-and-go research project that can be completed about any missionary. 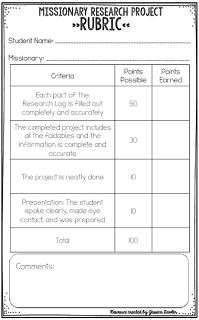 Everything you need to assign, complete, and assess this interactive research project is included! 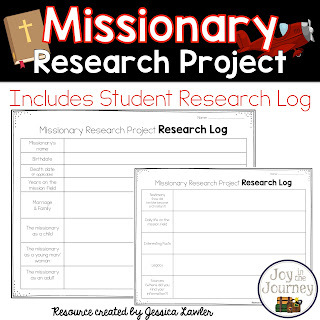 The print-and-go resource includes components for a missionary research project. 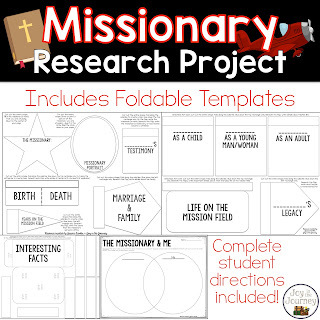 Give your students each a copy of the foldables and then let them choose (or you can assign) a missionary for them to study. As they research they can record their findings in their Research Log. 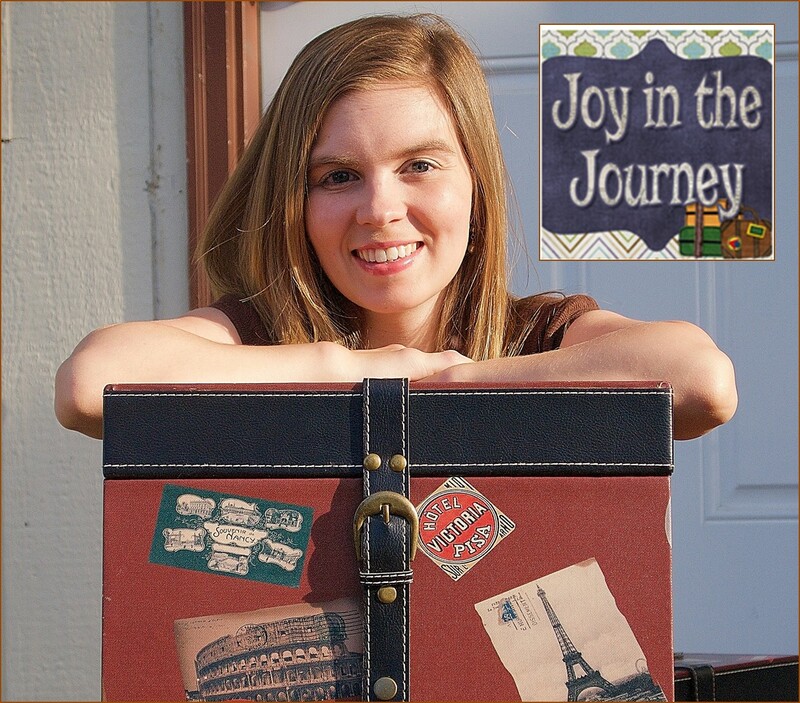 Then they can take what they’ve learned and compile what they’ve learned into this fun keepsake/display. 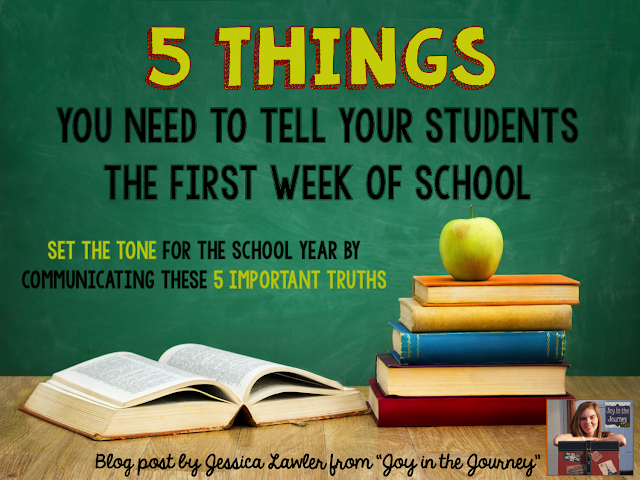 I had my students glue the components on a manila file folder, but you could also use construction paper, scrapbook paper, poster board, or a journal. 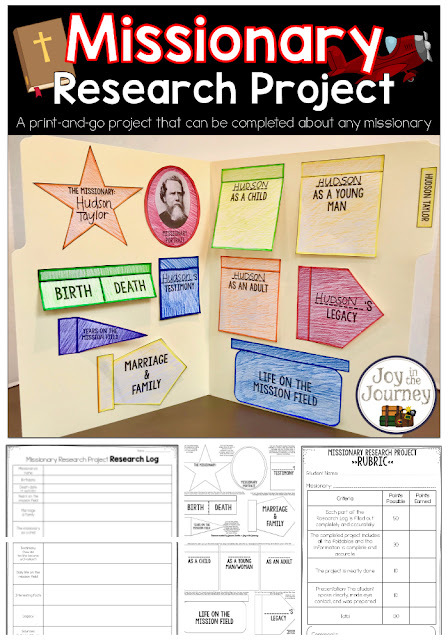 These projects are excellent for oral presentations, open house displays, bulletin board/hallway displays, etc. They also store easily for transport. 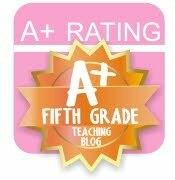 Full student directions and teacher rubric options are included.